The Polish military announced that it has conducted the first combat exercise of its Warmate loitering munition drone. (Shephard Media) For more on loitering munitions, click here. 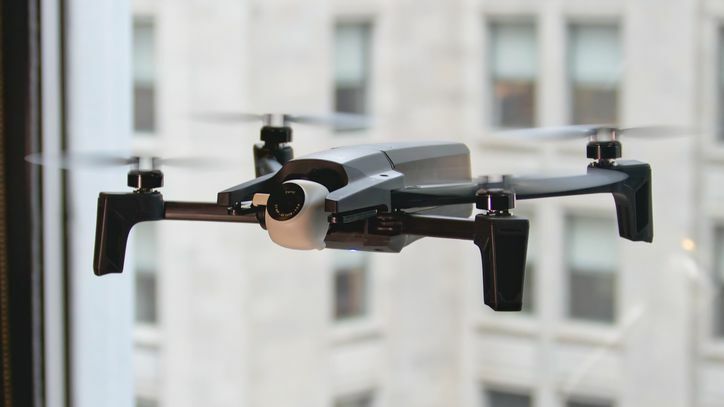 Chinese drone manufacturer DJI partnered with Axon, a U.S. company that makes a range of policing technologies, including tasers, to sell drones to law enforcement agencies. (Slash Gear) For more on public safety drones, click here. A report by the Stimson Center offers a series of recommendations to the U.S. administration for the use and export of armed drones. At the Electronic Frontier Foundation, India McKinney and Andrew Crocker question whether the U.S. government needs additional authorities to track and disable rogue drones. At Slate, April Glaser writes that the DJI-Axon partnership raises concerns about how law enforcement agencies might use drones. At The Drive, Tyler Rogoway looks at what a recent photo of China’s Dark Sword reveals about this futuristic combat drone. At Jane’s, Richard Scott writes that a U.K. Royal Navy unmanned minesweeping program is demonstrating the possibilities for the application of autonomy on the battlefield. At C4ISRNET, Pierre Tan profiles a counter-drone system that the French military could soon add to its inventory. At the Associated Press, Matt O’Brien looks at how Boston Dynamics is seeking to begin offering dog-like robots for commercial security applications. At La Tribune, Michel Cabirol writes that the French military is seeking to develop large unmanned ground vehicles for casualty evacuation and equipment transport. At The Atlantic, Geoff Manaugh profiles the Los Angeles County Sheriff’s drone program. At Lawfare, Aqil Shah questions whether U.S. drone strikes had an impact on popular support for the Taliban within Pakistan. At The Aviationist, Tom Demerly recalls the history of the Cold War-era D-21, a supersonic reconnaissance drone.